Navigate to the Users & Groups" page. Enter a name for the group and save. By default, the group will not have any users. 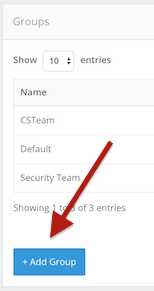 To edit users and their permissions, click "Edit" next to the group. 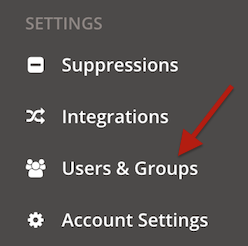 Next to each user, you can change their group membership from "None" to "Admin" or "User" depending on the desired permissions level.